We’ve got a variety of gift set options available, all ready to be customized to fit your needs. 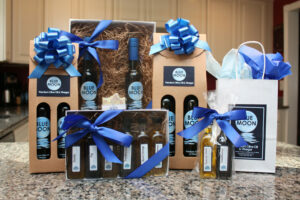 Include some of our gourmet spices, jams, salsas, soaps, or pasta in our gift baskets? Stop into one of our stores, or call ahead and let one of our specialists show you all of our fantastic gifting options! 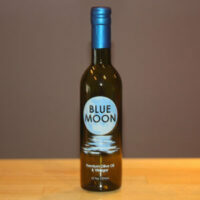 – Hojiblanca EVOO from Australia…pleasantly creamy and exhibits wonderful tasting notes of stone fruit and tropical fruit. – Picual EVOO from Chile…displays prominent tasting notes of fresh cut grass, green tomato leaf, dandelion greens and peppery arugula. Ultra Premium Extra Virgin Olive Oil – exceeds world standards for olive oil quality. It is the freshest and finest olive oil in the world today. Click here to learn more about Ultra Premium Olive Oil.